Often referred to as “Arlington” or “Arlington, Virginia,” Arlington County is one of the largest regions in the Virginia commonwealth. Curiously, in contrast to its large size, it’s one of the smallest self-governing counties in the country. Sitting on the Potomac River, Arlington VA real estate is bordered by the City of Falls Church, Fairfax County and the City of Alexandria. 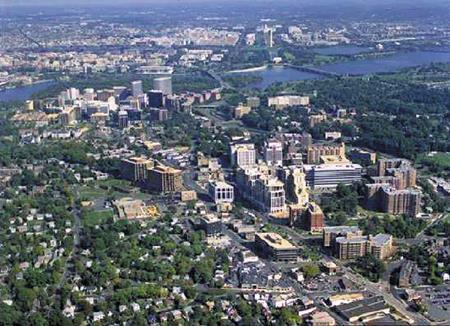 Arlington County is home to a number of government agencies and departments. The stability of the likes of the Ronald Reagan Washington National Airport, the Drug Enforcement Administration and the Department of Defense at the Pentagon contribute to the county’s workforce and economic framework. Arlington has one of the highest median family incomes in the United States. Arlington County was initially part of Fairfax County. Arlington properties passed through several hands until after the American Civil War. In the 1920s, legislature passed to name the area Arlington County. Real estate in Arlington County boomed. This demand intensified during WWII when at one point no one could purchase or rent Arlington VA homes. 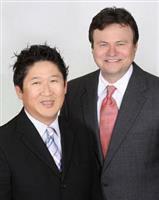 As Brian Hong and Jery Beamer will attest, Arlington real estate is still in high demand, especially with young families looking to start a new life in an exciting and prosperous community. In an aggressive effort to keep every Arlington home buyer, their families and guests as busy as their schedules allow, Arlington County offers exciting open spaces for relaxation and play. They have a broad range of community and senior centers, dog parks, trails, pools and parks. Residents can enjoy classes in aquatics, ceramics, cooking, training your dog and gymnastics. Get more info here. Living in Arlington homes gives everyone access to a variety of attractions, sites, entertainment venues and more. The Arlington National Cemetery is one of our most famous tributes to our defenders, featuring remembrances for women in the military, resting places of notable Americans and the home of Robert E. Lee. The Iwo Jima Memorial recreates a famous photograph taken during WWII. The Birchmere is a small arena for live musical performances of all styles. Many residents head over to nearby Rosslyn for their outdoor film festival. There are games, prizes and music. Neighborhood Day is an annual event that promotes community festivals, yard sales, games, picnics and other engagements. July’s calendar is always jam packed in Arlington, highlighted by an inspiring Independence Day celebration. If you want to know more about what makes Arlington County great, give us a call. We have all the information on local eateries, attractions, parks, shopping, entertainment venues and Arlington homes for sale. We strive to be the Arlington real estate agent with a vast network of resources for matching you and your loved ones with the perfect homes for sale in Arlington.